The Ministry of Oil announced on Tuesday that the production of associated gas during the month of December reached 3159 cubic meters million standard cubic feet per day. The ministry said in its statistics published on its official website and viewed by "Economy News" a copy of it, "The production of gas associated with the oil companies in the whole of Iraq for the month of December last amounted to 3159 muffled a day," indicating that "the burner amounted to 1715 muffled a day." 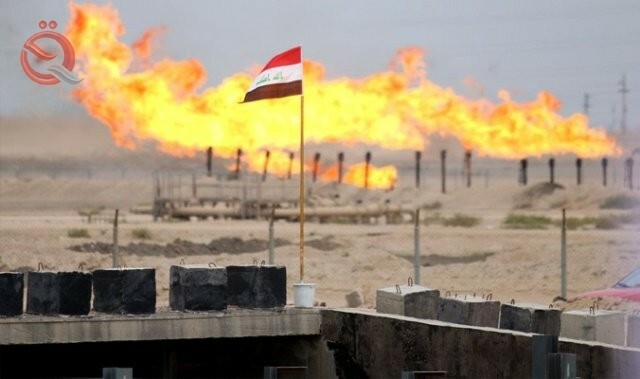 The ministry added that "the production of the North Oil Company and the center of the associated gas amounted to 418 muffled a day and burned it was 96 cubic meters per day, while the production of gas associated with the oil of Basra and Dhi Qar and Maysan amounted to 2,741 cubic meters per day and burned 1619 mukhum per day. The statistics showed that the Ministry of Oil was able to reduce the gas from the associated gas during the past month by 170 compared to the previous month. According to preliminary estimates of the Ministry of Oil that Iraq has a reserve estimated at 132 trillion cubic feet of gas, as about 70% of Iraqi gas is a gas associated with the extraction of oil to be treated, and Iraq ranks 11th among the countries of the world rich in natural gas after Russia, Iran and Qatar Saudi Arabia, the United Arab Emirates, America, Nigeria, Venezuela and Algeria.